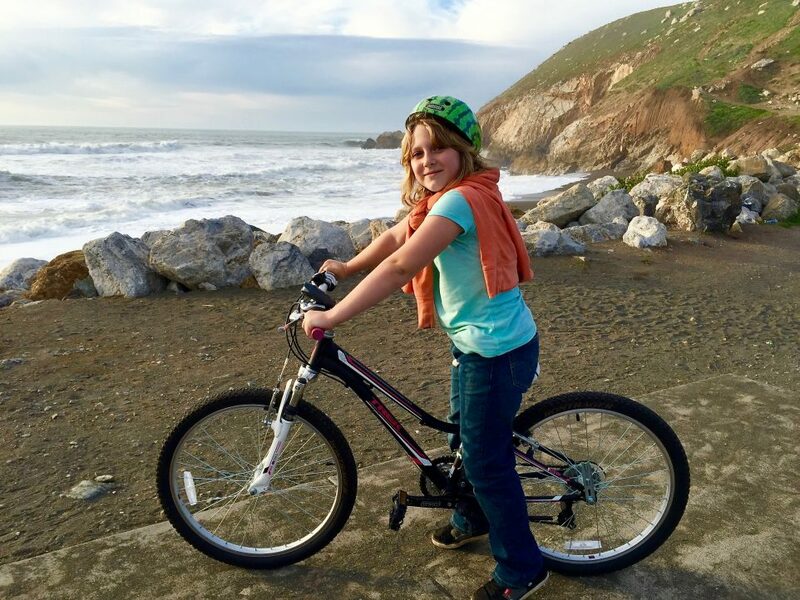 Cadence got a new bike yesterday, and the two of us went on a ride to Rockaway Beach. 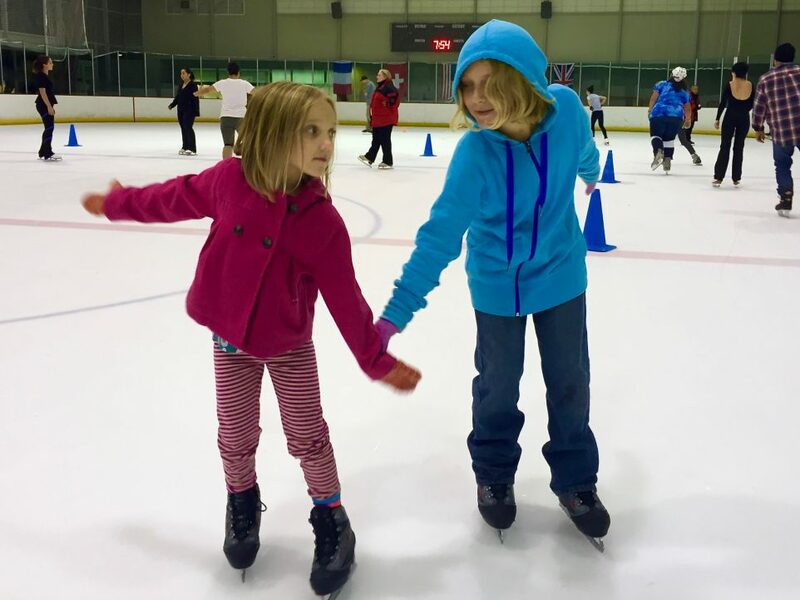 We’ve been enjoying going ice skating lately. The girls have both been getting better each time we go. It was really warm and sunny, so we went to the beach today. 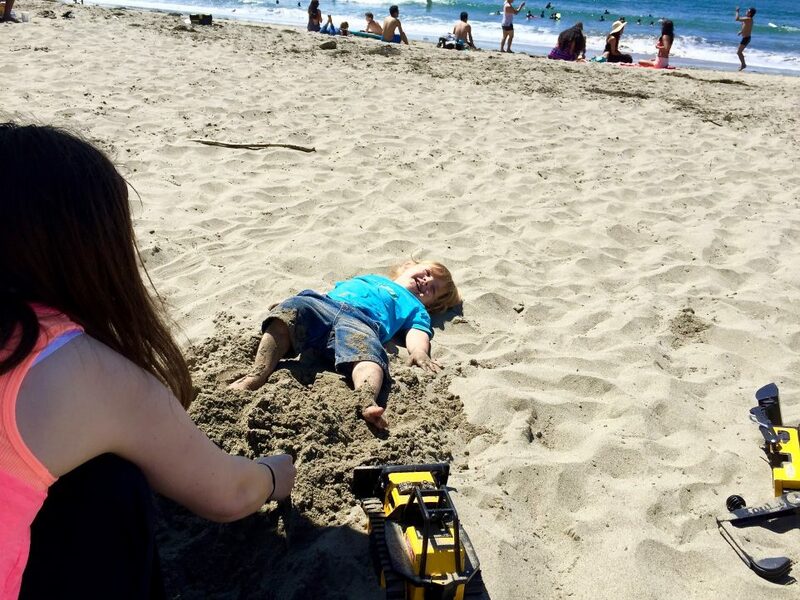 Blaise played in the sand. 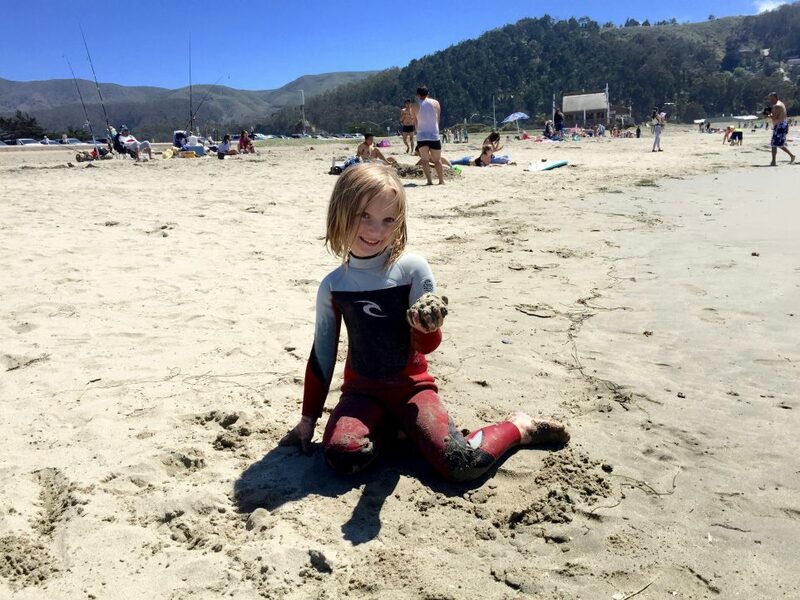 Aurora enjoyed staying warm, despite how cold the water is in Pacifica. Cadence enjoyed surfing with Dad. I’ve been taking swimming lessons for 2 weeks. We are learning front stroke.